Investors looking for strong and quick capital growth should look to two suburbs on the east coast, according to new forecasts. Ashfield in Sydney’s inner west and Camp Hill in Brisbane’s south east have both been nominated as suburbs where investors could see their deposits double within the space of 12 months. Veronica Morgan, principal of Good Deeds Property Buyers, specialises in the inner-Sydney market. Ms Morgan believes that buying entry-level property in the inner west is the ideal strategy for quick capital growth. “We find that the best opportunities exist within a 10-kilometre radius of Sydney's CBD. The entry-level budget for these areas is now around $550,000, for which you can get a one-bedroom apartment, with parking, in a red-brick three-storey walk up in suburbs like Ashfield, Marrickville and Dulwich Hill,” she said. Ashfield, nine kilometres from the CBD, warrants further investigation since it is yet to experience the massive growth of surrounding suburbs, she added. “According to APM (Australian Property Monitors), the median price for one-bedroom apartments rose a respectable 17.8 per cent in Dulwich Hill and a staggering 27.8 per cent in Marrickville over the past 12 months. 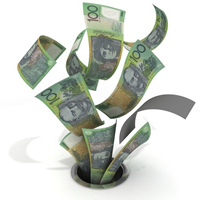 So last year's buyers have already more than doubled their deposits in these suburbs,” Ms Morgan said. Good transport links in the inner west and a growing night life are attracting younger tenants to the area, according to Ms Morgan. “All three suburbs offer excellent transport to the CBD and are rapidly evolving as cafés and bars open up and more young people move there for lifestyle and convenience,” she said. Scott McGeever, director of Brisbane-based Property Searchers, believes that a revitalised Brisbane market is currently offering good opportunities for investors seeking capital growth. “Over the past nine to 12 months we have seen the market in Brisbane come back to life, with stronger demand and supply remaining low. Growth has started to occur again as the market had been subdued for some time,” he said. Despite the hype surrounding urban renewal projects in the inner city, established suburbs are leading the comeback, according to Mr McGeever. “We have seen older established areas come back the best, as they generally always do, and these will again be the areas that will hold their value the best when the market slows again. One of these areas, where houses in general can be purchased for under $700,000 - and we think will see at least five per cent growth in the next 12 months - is Camp Hill,” he said. Mr McGeever believes that a lack of quality housing stock is largely responsible for buyer demand in Camp Hill, which is six kilometres south east of Brisbane’s CBD. “This area has been strong because of the lack of available stock and land to develop and the fact that it is well serviced, with amenities, parks and transport and convenience for the Brisbane CBD. It is expected that demand will remain strong and supply of quality stock low so this will drive prices,” he said. Quality of housing stock is something that Sydney buyers should also be alert to in order to ensure their investment maintains its appeal beyond the current market cycle, warned Ms Morgan.